Don’t Let Holidays Wreck Havoc On Your Gutters! The winter holidays are quickly approaching as we got our first taste of snow this week! 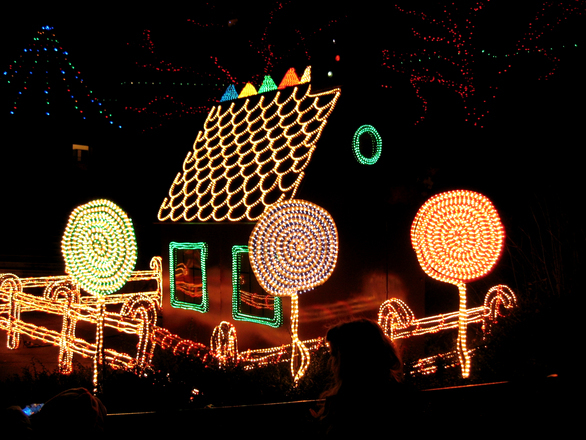 Many families decorate their homes with lights and other garnishments as part of their holiday tradition. Have you hung your lights yet? Whether you were lucky enough to get around to hanging lights before the snow, or you still need to find a way to get them up there, you need to think about your roof and gutter when hanging lights for the holiday. Ensure that your roof is safe. Inspect your roof, making sure there are no areas that may not be able to withstand your weight while you are on your roof. Small damages such as loose shingles can lead to dangerous slip and falls. Have your roof properly repaired prior to hanging lights or decorations. Use gutter clips when attaching lights to your gutters. Using permanent options such as nails or staples can cause damage to your gutter system. 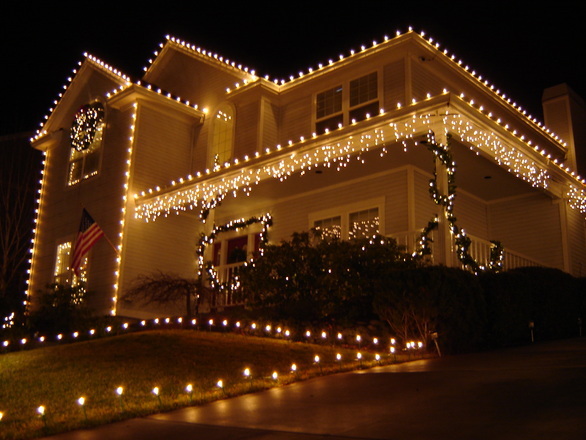 are pulling away from your home, have them properly repaired before hanging your lights. Pay attention to icicle accumulation hanging on your lights. We all know that icicles form on gutters during the winter. When we add holiday lights to the gutters, we are creating more places for ice to accumulate. The more ice that accumulates on your gutter system, the more weight your gutters have to hold. If too much weight is applied to your gutter system they may fall. After the holidays, you will be removing the lights and decorations. It is important to take the same care removing them as you did putting them on. Remove the excess ice if any, and unfasten carefully (after you’ve disconnected the power of course). We would love to see your holiday decorations! Share them with us on Facebook! Happy Holidays From Eastbrook Construction! This entry was posted in Gutters, Roof repair and tagged gutter decoration, hanging lights, roof and gutter care, roof care tips, tips, winter. Bookmark the permalink.